15 February 2016. Workshop – Turning your passion into a career. The Cairns Institute, James Cook University, Cairns campus. 16 February 2016. 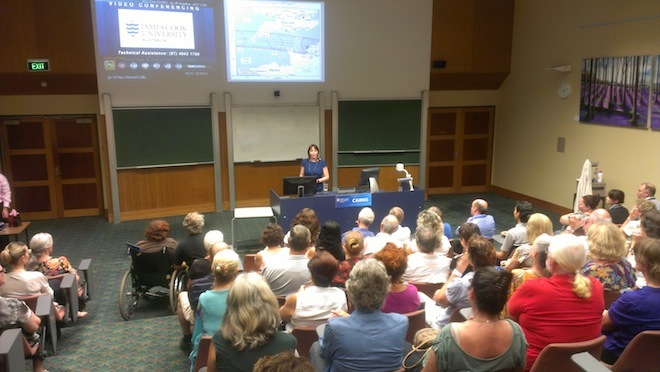 JCU Alumni Public Lecture – Reaching for the stars, one eclipse at a time. James Cook University, Cairns campus. 17 February 2016. Workshop – Planning the ultimate US road trip for the 2017 total solar eclipse. Night Sky Secrets, The Pier, Cairns. 18 February 2016. Lecture – The wonder of Totality and the Dome Experience. Outside Night Sky Secrets, The Pier, Cairns. 19 February 2016. Informal social evening – Eclipse Reunited: A social gathering to relive the magic of 2012. Allessandro’s Restaurant, Lake Placid. 8 March, 2016. Lecture 1 – Total Solar Eclipses: an overview. Lecture 2 – Experiencing a total solar eclipse: what to expect tomorrow. Sulawesi Eclipse Festival, Palu, Indonesia. 9 March 2016. Research Workshop – The total solar eclipse experience: Exploring the indescribable. Sulawesi Eclipse Festival, Palu, Indonesia. 11 April 2016. Consultation – Astronomy Club trip to the US for the total solar eclipse. Cork Astronomy Club Tour Subgroup, River Lee Hotel, Cork, Ireland. 11 April 2016. Lecture – Life as an author / psychologist / eclipse chaser. Cork Astronomy Club Lecture Series, University of Cork, Ireland. 13 April 2016. Lecture – The total solar eclipse of 2016, and preparations for 2017. Irish Astronomical Association meeting, Queen’s University Belfast. 3 October 2016. Lecture – Researching the eclipse experience, and where you can next see it in 2017. Galway Astronomy Club, Westwood House Hotel, Galway, Ireland. 11 October 2016. Success on the Center Line. Online web presentation, Wyoming Eclipse Festival. 14 October 2016. Lecture – Awesome totality, and where you can next see it. International Astronomy Show, Stoneleigh Park, Coventry, England. 18 March 2015. Media Panel. The total solar eclipse briefing 1. Visit Faroe Islands official media panel, Nordic House, Torshavn, Faroe Islands. 19 March 2015. Media Panel. The total solar eclipse briefing 2. Visit Faroe Islands official media panel, Nordic House, Torshavn, Faroe Islands. 19 March 2015. Lecture – Pre-eclipse briefing: What to expect tomorrow: events, entertainment, and weather. The Independent Traveller tour group, Faroe Islands. 20 March 2015. Lecture – Pre-eclipse morning briefing: Celebrating the total eclipse together – international tourists and the whole community of Eidi. Eidi Skuli Hall, Faroe Islands. 20 March 2015. Informal discussion – Post eclipse celebration and sharing of stories. Independent Traveller tour group, Hafnia Hotel, Faroe Islands. 20 March 2015. Lecture – After the total solar eclipse. Formal dinner, Independent Traveller tour group, Hafnia Hotel, Faroe Islands. 1 April 2015. 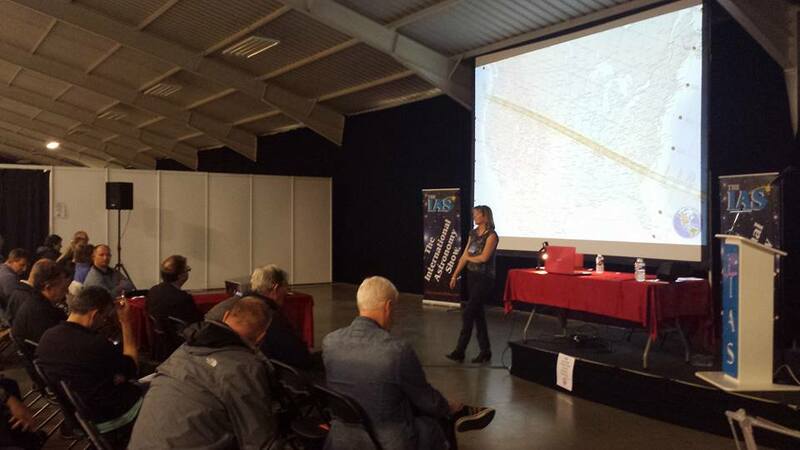 Lecture – The total solar eclipse in the Faroe Islands. Irish Astronomical Association lecture meeting, Queen’s University Belfast. 17 April 2015. Lecture – Life as an eclipse chaser. 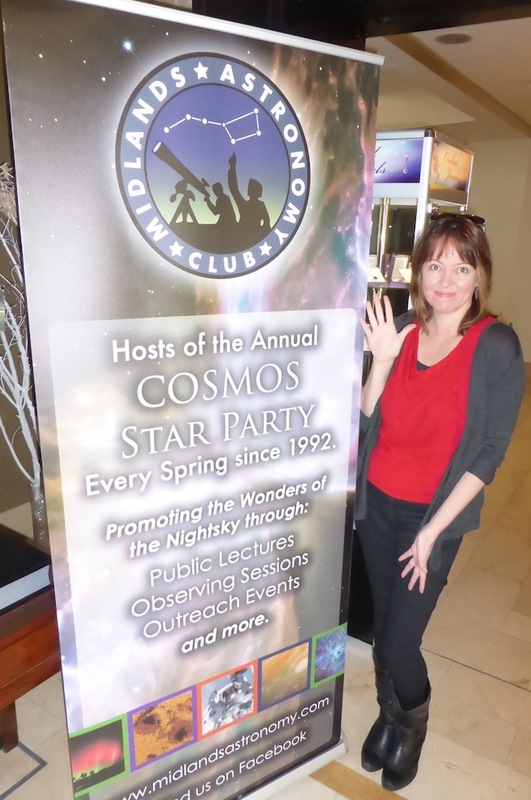 COSMOS Star Party, Shamrock Lodge Hotel, Athlone, Ireland. 22 August 2015. Public Lecture – What the eclipse means for YOU. 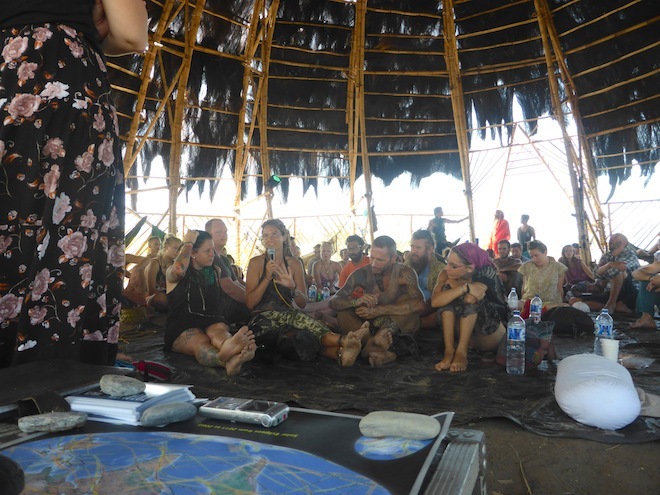 AND Lecture 2 – Preparing a community for a total solar eclipse. 2017 Eclipse Task Force Solar Astronomy meeting, Oregon Museum of Science and Industry, Portland, Oregon. 9 September 2015. Lecture – The moment I lost my mind: A case study of the first time total solar eclipse experience. International Adventure Conference, Sheffield Hallam University, Sheffield, England. 12 September 2015. Lecture – The total solar eclipse in the Faroe Islands: As a planner, tour leader and eclipse chaser. Horncastle Astronomy Weekend, Horncastle, England. Oct 17, 2015 – Dec 2, 2015. Specialist Guest Lecturer – The complete guide to total solar eclipses in 10 lectures. The Astor, Cruise & Maritime Voyages, cruise from London to Sydney. March 2014. 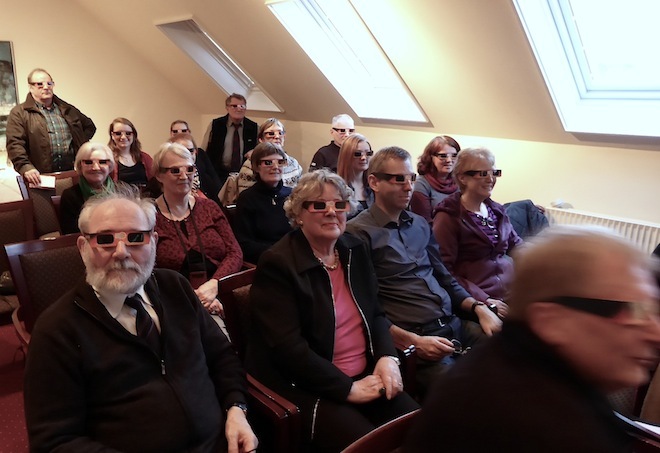 Workshop – Preparing your tour guides for the total solar eclipse of 2015 in the Faroe Islands. Greengate Incoming, Hafnia Hotel, Faroe Islands. March 2014. Lecture – The total solar eclipse of 2015. Hoyvik Skuli, Torshavn, Faroe Islands. 12 September 2014. Keynote Address – Life as an eclipse chaser. Horncastle Astronomy Weekend, Fortuna Business Centre, Horncastle, England. 13 September 2014. Lecture – The total solar eclipse of 2015. Horncastle Astronomy Weekend, Fortuna Business Centre, Horncastle, England. 3 December 2014. Lecture – Preparing for the total solar eclipse of 2015 as the Eclipse Consultant. Irish Astronomical Association meeting, Queen’s University Belfast. 14 December 2014. 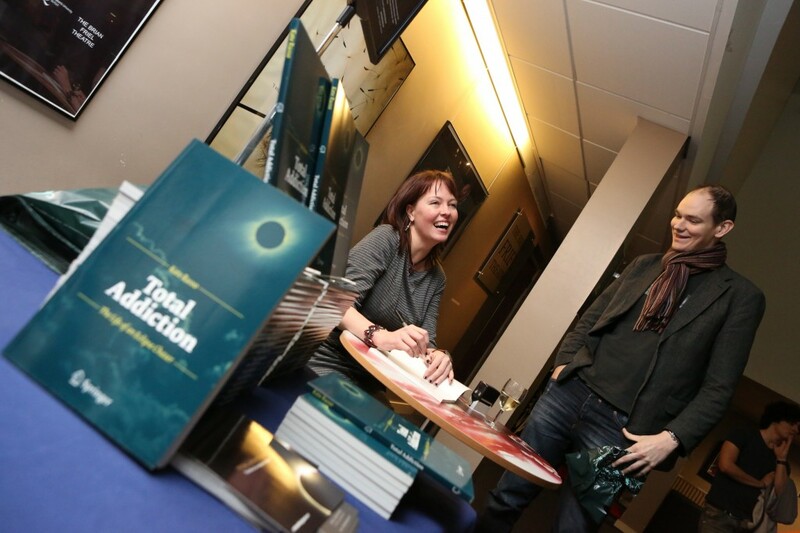 Book signing – Total Addiction, and Totality 2012. Irish Astro-Expo, Buswell’s Hotel, Dublin. 7 February 2013. Workshop – Becoming an author. Campos Café, Brisbane. 15 February 2013. Lecture – The Total Solar Eclipse: A psychological perspective. Brisbane Astronomical Society meeting, Kelvin Grove, Australia. 8 February 2013. Workshop – Becoming an author. Bleeding Heart, Brisbane. 19 February 2013. Book Launch – Brisbane Launch of Total Addiction: The life of an Eclipse Chaser. Mt Coot-tha Botanical Gardens, Brisbane. 21 March 2013. Presentation – writing a book about your passion. Townsville City Libraries, Townsville. 22 March 2013. 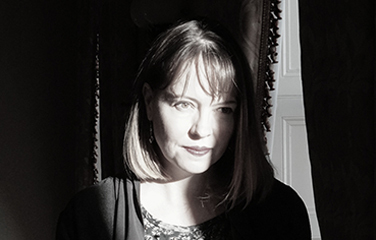 Workshop – Becoming an author. Hinchinbrook Shire Library, Ingham. 16 March, 2013. Speaker – Researching the eclipse experience. Book Creators Circle group meeting, Rydges Trade Winds Hotel, Cairns, Australia. 24 March 2013. Meet & Greet, Willows Markets, Townsville. 26 July 2016. Award recipient – Outstanding Alumni Award. Breakfast Ceremony, James Cook University, Sheraton Hotel, Townsville, Australia. November 2013. Lecture – Life as an eclipse chaser. Irish Astro-Expo, Buswell’s Hotel, Dublin, Ireland. 13 November 2013. Lecture – Total solar eclipse 2012 and 2015. Irish Astronomical Association Meeting, Queen’s University, Belfast. 15 September 2012. Book Launch – Belfast Book Launch Party for Total Addiction: The Life of an Eclipse Chaser. Including film, presentation and informal talks. Queen’s Film Theatre, Belfast. 19 September 2012. 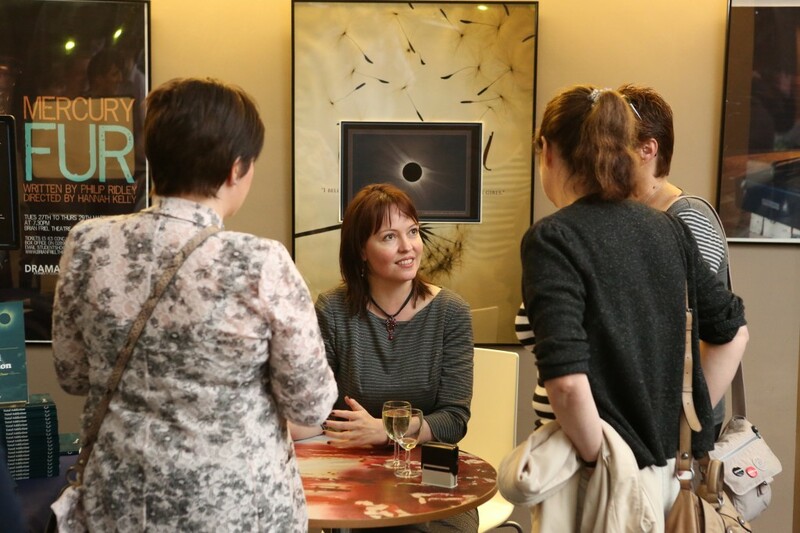 Lecture and book signing – The Psychology of the total eclipse experience: a Total Addiction. Irish Astronomical Association (IAA) meeting, Queen’s University Belfast. 23 October 2012. Public Lecture and Book Launch – Eclipse Series Lecture 1: Prepare to be amazed. James Cook University, Cairns. 26 October 2012. Meet & Greet – Everything you want to know about the total solar eclipse. Plan B Cafe, Cairns. 27 October 2012. Meet & Greet – Everything you want to know about the total solar eclipse. Rusty’s Markets, Cairns. 3 November 2012. Meet & Greet – Everything you want to know about the total solar eclipse. Rusty’s Markets, Cairns. 5 November 2012. Public Lecture – The total solar eclipse: How to prepare. Gilroy College, Ingham. 7 November 2012. Lecture – The total solar eclipse of 2012: How to prepare. School presentation for students and parents, Ingham Primary School, Ingham, Australia. 11 November 2012. Book signing – Total Addiction: The life of an Eclipse Chaser. Harrison’s Restaurant, Port Douglas. 16 November 2012. Keynote Address – The total solar eclipse of 2012: What we experienced. Spatial Apps Conference, Pacific Hotel, Cairns, Australia. 18 November 2012. Book Signing – Total Addiction: The Life of an Eclipse Chaser. Collins Bookstore, Smithfield Shopping Centre, Cairns. Australia. 21 November 2012. Lecture – The total solar eclipse of 14 November 2012. PechaKucha Night, Cairns, Vol. 6, The Tanks Centre, Cairns, Australia. 27 November 2012. Public Lecture – Eclipse series 2: The total solar eclipse in Far North Queensland. James Cook University, Cairns.